FEED YOUR CAT OR DOG AS NATURE INTENDED. 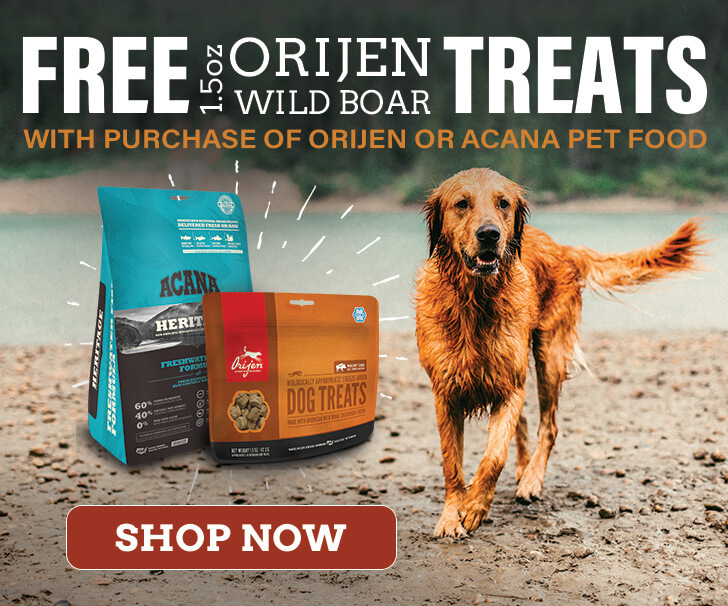 Orijen’s biologically appropriate dog and cat food was designed to mirror your pet’s ancestral diet while providing the highest quality, regionally sourced ingredients. Natural meats like Angus beef, American bison, Kentucky lamb, and Yorkshire pork are just some of the unique proteins found in Orijen dog and cat foods. Orijen foods are free from plant-based proteins, antibiotics, and chemical preservatives. Each formula is grain free, featuring nutritious fruits and vegetables fresh from Kentucky farms. Find which formula suits your pet’s nutritional requirements best. Orijen dog food comes in puppy, large breed puppy, adult, and senior varieties. Orijen cat food is protein-rich and distinctively tasty, coming in and all lifestage formula and adult formulas.